1There have been very wide variations in the interpretation of Morris's work: not surprisingly, given the exceptional range of his activities and commitments. He has been presented – in alphabetical order - as an aesthete, an anarchist, an antiquarian, a communist, a conservationist, an ecologist, a Marxist, a modernist, a pre-Raphaelite, a romantic, a socialist...: and, no doubt, this list could be extended further still. A mischievous or uncharitable reaction might be to suggest that criticism has, therefore, tended to treat Morris's work as an auberge espagnole: certainly, there does seem to be a sense in which some specialist readings of Morris impose contrived limits on his work. And yet, any reading, in the end, is bound to be "specialist" to some extent. It would be difficult to take any reader to task for that reason alone. 2Where there is perhaps an issue to be taken up is in the tendency to assume, since Morris had such a rich and varied career, that his thought, though not limited to one particular sphere, must necessarily have moved through a number of successive and distinct stages. E. P. Thompson's seminal study, William Morris: from Romantic to Revolutionary (1955), is the best-known example, plotting the inexorable mutation of Morris the poet into Morris the socialist; an evolution discernible, according to Thompson, in even the earliest of Morris's romantic verse. Yet Thompson himself, in the postscript which he added to the new edition of his book, in 1976, admits the possibility that his interpretation of Morris's Marxism, of the completeness and suddenness of Morris's conversion, was overplayed in the original edition and that Morris needs, in the end, to be seen as "an original socialist thinker whose work was complimentary to Marxism'1. The persistence, in other words, of the "romantic" in the life of the"revolutionary" was a possibility which had to be entertained. 2 William Morris: A Life for Our Time, London, Faber and Faber, 1994, preface. 3 Gide's Les Nourritures terrestres was published in 1897. 3Fiona MacCarthy's detailed and affectionate biography attempts the difficult job of synthesis along different, more postmodem lines, making a feature of the numerous tensions and revelling in Morris's polyvalence, but also emphasising in a rather "English" way, the practical man beyond "the layers of theory"2. Her anti-reductive enterprise also underlines William Morris the eternal child, his endless open-mindedness or what André Gide, a nearcontemporary, might have called Morris's disponibilité3. Morris, in this reading, does indeed retain an essential and frustrating insaisissable quality, his work only acquiring its full significance by being allowed to run the full course of all its contradictions. MacCarthy's book, logically enough, does not attempt to conclude. Whether or not that should be seen as a postmodernist (or latemodemist) eulogy on discontinuity, collage, fragmentation, it is clear that, whereas E. P. Thompson aims to resolve Morris's apparent contradictions by following them through the stages of a successful dialectic – Morris the romantic chrysalis finally emerging resplendent as Morris the revolutionary butterfly – MacCarthy prefers to suggest that the Morris edifice only stands up thanks to the tensile strength of its many opposing lines of force. In the first case, Morris is assessed through a form of radical Whiggism – all roads lead to Marx; in the second, Morris remains radical, but also decorative, being gently récupéré, a drawing-room Marxist, anthologised into an anodyne grace. 4But there is (at least) one other William Morris, a Morris who needs to be taken, as he might have said himself, "in the lump", whose art and socialism coexist in ways which, though they appear antagonistic from where we stand, are representative of an intellectual context in which the antagonism was symptomatic of a cultural and political enjeu embroiling Morris, but many others too. The paradox of Morris the antiquarian Marxist, that is, had not yet become a paradox for him, or for others concerned by similar questions. It is to Morris's credit, if to our discomfort, that he was able to preserve what we perceive as a demanding synthesis, but what he acknowledged, in his typically head-on fashion, as the central problem of the political culture in which he lived: the relationship between art and society, between culture and politics. 5What follows is an attempt to isolate some of the issues which Morris found himself wrestling with and to suggest that his fiercely independent stance constitutes a paradigm which might be equally useful to the political historian, the historian of ideas and the literary historian. The main issue explored here is not so much Morris's precise relationship with the (British) left in and of itself – an exercise which constantly threatens to shade back towards a querelle de termes – as with his thoughts on the notion of British "Teutonism" and an "ancient constitution", on the one hand, and the attendant problematic of how this was situated in respect of a "national" and evolutionist historiography. My aim, that is, in relegating a discussion of the precise nature of Morris's political affiliation to a secondary role, is not to discount its importance. On the contrary, I want to try to bring into slightly sharper focus the fact that it was Morris, more than most, who tried to work through the problems which left-wing artists came up against. 6The Teutonic tradition was strong throughout the long nineteenth century in Britain, reaching back to Coleridge's eloquent promotion of German culture in Britain and then to Carlyle's extensive and profound Germanophilia. Indeed, Carlyle's impact on mainstream British parliamentary politics up to the end of Victoria's reign was considerable. Prominent Germanophiles at Westminster included Charles Wentworth Dilke, who only narrowly missed out on a chance to fight with the Prussian army against the French in 1871 and who, until a famous divorce scandal cut short his political career, had been a serious contender for the premiership in the early 1880s. His close associate on the radical wing of the Liberal Party, Joseph Chamberlain, broke away from Gladstone and the Liberals in 1886 over the Irish Home Rule question. Chamberlain's subsequent drive towards "social imperialism" and a more structured, more constitutionally standardised British Empire included, for a time, ardent support for an Anglo-German alliance - not least in 1898 in the context of the Anglo-French scuffle at Fashoda. As it transpired, Salisbury, the dominant figure in British foreign policy from 1886 onwards, did not relent: alliance-signing was consistently put off until after his retirement (in 1902) and, in the event, not even then with Germany. British Germanophilia, however, lived on and, though reduced to a rump, especially from 1908 onwards, was never completely submerged, even during the Great War itself. 7 And Green's work had considerable impact on the developing thought of RH. Tawney. 8But his Utopian vision also draws heavily on the constitutional history of the proponents of the "Teutonic" school. Morris, that is, also needs to be acknowledged as part of a much broader trend which argued that Englishness could be couched in terms of a superior political culture, that aboriginal English constitutionalism and "liberties" issued from a cultural continuity of essentially German descent, and that these liberties were, above all, "popular". Liberty was rooted in both ethnicity and in popular resistance to absolutism. This was a cause advanced by such figures as Sir Francis Palgrave or E. A. Freeman (1823-92) who worked to appropriate what we might now perhaps call "the Teutonic fallacy" to a Whiggish objective: to present the Westminster parliament, indeed, the entire British constitution, as an emanation of an unbroken tradition of democratic government which arrived in Britain with the Saxons. Palgrave wrote a History of the Anglo-Saxons (1831) and The History of Normandy and England (from 1851), where he argued that, although the spread of the Germanic kingdoms through the dark and middle ages was in effect an extension of Roman imperial power, England, unlike its continental or Celtic neighbours, escaped the effects of this through the free operation of the most libertarian institutions of the Germanic communities, something which prevented a drift into absolutism. Freeman, whose History of the Norman Conquest (1867-76) plotted the imposition of the Norman yoke on the necks of true-born Englishmen of Saxon stock, was a leading exponent of "Germanitas": that deliberate elevation of early medieval Germanness to the status of law-giving cradle of British civilisation, the basic building blocks of British governance having emerged from Germany's prehistoric forests. When writing his history, in an attempt to echo this constitutional Ursprache, Freeman even limited himself as far as possible to using words of Teutonic origin. Leading Victorian jurists and philosophers — James Bryce (1832-1922), the constitutional lawyer and Liberal politician, whom Morris knew well, or Thomas Hill Green (1836-82), a champion of German idealist philosophy, were also interested in this largely invented tradition of German populist political thought6. Green is another figure who, like Carlyle, influenced a wide range of opinions, not least via the concept of an "organic" society and the importance of the "community". Green could count among his greatest admirers both the Fabian intellectual, Sidney Ball, and the idealist philosopher, Bernard Bosanquet7. And the fact that Green could inspire pragmatic, Fabian chalk, as well as someone usually held to represent a much more "conservative", idealist cheese, is a further clue to the common ground shared by thinkers of the "left" and "right" in the decades preceding the Great War. Recent work by a number of political historians has underlined the extent to which these two apparently disparate figures - Ball and Bosanquet - in fact shared many very similar ideas on the role of the State and social reform8. Sidney Ball was clear on his collectivism, but also on his individualism: the State must intervene, but only for the common good, and never to the detriment of that corner-stone Victorian value - character. As Jose Harris puts it, "the socialist debt to the liberalidealist theory of an'organic'community was clearly spelt out by the Fabian philosopher, Sidney Ball, and was also latent in much of the supposedly anti-idealist writing of Macdonald and the Webbs"9. Both Ball and Bosanquet were to influence Richard Tawney for this reason. Bosanquet's ideas on social policy reached further out to other radical thinkers: his predilection for the idea of the "neighbourhood", his insistence on the importance of the local, the small-scale, and his ideas on worker participation and ownership, all put him close to certain aspects of guild socialism. He lectured to the Fabian Society in 1890 and proved broadly sympathetic to the emergence of the ILP. His view that, "I do not believe that the social position of individuals among the body is a trustworthy index to their transmissible qualities", clearly places him to the "left" even of the young William Beveridge. And Bosanquet's emphasis, finally, on the need for an aesthetic dimension to the ordinary, daily life of the neighbourhood, puts us firmly in mind of Morris. 10 Published in instalments in Commonweal in 1886-7 and published in book form in 1888. 11 Serialised in Commonweal in 1890. 9Tracking these filiations and genealogies of influences is problematical. But Morris's vast knowledge of, and fascination with, the supposed "tribal communism" of the primitive but free, Germanic societies beyond the Middle Ages leaps off every page of The House of the Wolfings (1888), or The Roots of the Mountains (1889). The proximity in time of the composition of these works and his two Utopian romances A Dream of John Ball ·10 and News from Nowhere11 indicates, even in the absence of any other evidence, that the (largely assumed) political arrangements of the primitive German "theoth", on the one hand, and practical socialism, on the other, were converging in Morris's mind12. The Nowherians, for example, with their pre-feudal, that is pre-French, pristina libertas13, are in many ways portrayed as the descendants of a system of German popular custom or common law centred on the "folkmote", and Morris refers in a number of other places to the Teutonic barbarism which he sees as such a powerful force within his overarching ideal of social change. Morris, rather in the manner of Freeman, takes considerable care to lend the inhabitants of his new society an idiom replete with a Saxon-based vocabulary. Morris places this society in "the fully developed mediaeval period of the fourteenth century"14. It is an English community "developed from the customs of the Teutonic tribes'"15. This collision or collusion between the energetic, primitive political culture which Morris admired so much and the world which his socialist project longed to reproduce, emphasises that Morris was aware of and attracted by what has since been shown to be an invented tradition: at worst a reductive myth of Teutonism, at best an English historical cult16. 17 " Feudal England ". 11Morris resists any temptation to advance racial purity here. His preferred Englishness is self-evidently a Germanic one and the missed opportunity for "greatness" and "homogeneity" relates to that. Nonetheless, Morris seems, on the face of it, almost to damn the Celtic miscegenation with faint praise, since it only represents a "useful infusion", something akin to a racial afterthought. His approach, in this sense, is clearly informed by the prevailing climate, not only of Teutonism, but also the broader implications of the evolutionism from which the Teutonic apologists drew much of their own legitimacy. The immense impact of Darwin's work on the midand late-Victorian period, or what Theodore Hoppen calls the "evolutionary moment"19, was accompanied by the emergence of anthropological science and by the work of the Anthropological Society of London (1863). The mid-Victorian period, that is, brought together a full-blown theory of evolution and masses of "evidence" - collected "in the field" - to support that theory, not least "proving" the superiority of the Anglo-Saxon race: the immediate racial foe being, of course, the Celts, that is the Irish, whose political subservience was, in part, codified in this way20. 21 La Pensée utopique de William Morris, p. 828. "The socialist policy, so far from favouring the weak, favours the strong... it is a process of conscious social selection by which the industrial residuum is naturally sifted and made manageable for some kind of restorative, disciplinary or, it may be, surgical treatment"23. 13The debate about improving the "racial type" was soon thrown into stark relief, not to say a degree of panic, by the revelations concerning the unfitness of British soldiers during the Boer War, and the Fabians were a key part of that debate. Sidney and Beatrice Webb expressly launched what would now be described as a "think tank", the Coefficients, in 1902, to discuss this very problem. Among the members of that group were Leopold Amery, Leopold Maxse and Alfred Lord Milner...24 Certainly, it would be irresponsible, as well as inaccurate, to imply that Morris, in the disparate remarks he makes in this area or in News from Nowhere, is composing anything like a "novel of national energy". And Morris is too explicit, elsewhere, to leave room for doubt concerning the integrity of his internationalism. On the other hand, one cannot simply dismiss his remarks as essentially anodyne or innocent, while simultaneously suggesting that use of exactly the same vocabulary is essentially sinister in the work of ardent supporters of Empire like Arnold White. Though they eventually drew different conclusions, intellectuals were using the terms in the same way. It is important to understand the limits on his ethnocentricity, but Morris himself was clearly hovering, in and around 1890, in the margins of a position which "the left" was then attempting to work out in relation to these very difficult problems. 14Morris's tangential relationship with the idea of national efficiency and the need for the improvement of English society - a need stemming directly, for Morris, from the capitalist or "commercial" system - sheds some new light on the national component of his Teutonism, as mediated by the notion of an "ancient constitution". More broadly, it invites us to look again at Morris's work, with News from Nowhere as one of the most succinct and mature instances of it, in relation to the fundamental dilemma between "progressive" and "declinist" politics in late-Victorian Britain, the clash between modernity and tradition, and the debate on what role the state should assume in respect of this. For, from about 1880 onwards, the relationship between modernity and decay increasingly came to be seen as one of cause and effect in the minds of social enquirers, journalists, philosophers, artists, historians, educationalists, politicians... Representatives from all of these groups were highlighting degeneration and looking for the best remedy. For Morris modern civilisation was indeed on a downward trend which had to be halted and reversed. 25 "How I became a socialist", Clive Wilmer, ed., News from Nowhere, p. 381. 15His Utopia is clearly an attempt to escape from, rather than resolve, the dilemma and begins, like his conversion to socialism, from a hatred of modernity: "The leading passion of my life", he writes in 1894, "has been and is a hatred of modern civilisation"25. Morris's aim, in fact, is not to take England forward to a "new" system. His "fully developed new society" proposes a modification, an evolution, of a tried and trusted system. That is a quintessentially English kind of proposition, based less on a theoretical construct than on experience, custom, inherited rights and liberties. In News from Nowhere, that is, Morris develops a vision of socialism which is above all ethical, requires individual restraint if it is to work, promotes the individual insofar as s/he promotes the common good, in which the State is minimal and governance is local, in which communities are small-scale and in which the typical industrial unit is the guild. In other words, Morris does not attempt to derive a new praxis from a theory, but adapts a theory to save and revive best practice. In this sense, Morris, for me, epitomises the dilemmas of British socialism at the end of the nineteenth century, dilemmas which hastened the failure, in the 1890s and beyond, of any viable socialist alternative26. 18Morris, if Pocock is right, seems to want to have his historical cake and eat it. On the one hand he models his ideal politics on a doubtful historiography which had been manipulated in order to shore up an essentially Whig constitution, and, on the other hand, he implicitly argues contra an imported, rational model designed, precisely, to overthrow the conservative claims of custom. This is not to say that Morris was involved in a masochistic strategy, but that he was busily engaged in the attempt to fit the square peg of the ethical, idealist, English tradition, into the round hole of Teutonic, Frankish, French rationalism and materialism. But, as we have seen, Morris was not the only one. Many other representatives of the late-nineteenth century "left" found themselves in a similar ideological tight spot. 19Morris said he was socialist, and I can see no reason to disbelieve him; but he was an English one. His "Little England" seems, on the face of it, to be diametrically opposed to, say, the "Greater Britain" of Dilke, Chamberlain, Milner, Rhodes, and so on. Yet Morris's position, given the dual applicability of some of the categories he uses, may in practice lie closer to that other approach than he might have intended; his "olde England", as it were, veers a little too close to Disraeli's "Young England" to avoid being recuperated by conservatism for long. What was "cultural" in Morris was amenable to a conservative interpretation: Morris's maîtres à penser (especially Carlyle and Ruskin) have been plundered and squandered by too many reactionaries to leave much room for doubt there. What was political, even, in Morris, was also, very often, récuperable by ruthless and well-organised, popular conservatism: the picturesque Englishness, the libertarian, individualistic, "one man went to mow" elements being adroitly siphoned off into a post-Burkean, parliamentary, one-nation Toryism. The disparate, jaunty little nuggets of the Socialist League, one might almost say, were comprehensively crushed beneath the combined weight of the Primrose League and the Football League. 29 Just as it is in A Dream of John Ball. 20In Nowhere, it is the scientific part of socialism, after all, the logic of the Revolution, which is remote29, presented as a linguistic artefact, a récit, as somehow not natural. Reason, more often than not, persistent enquiry, and excessive curiosity: these are to be kept at arm's length. In spite of an understandable desire to see in Morris's Utopia the seeds of a new dialectic, a kinetic project, anti-intellectualism and the solid virtues of social stasis are frequently in evidence. It is the body, above all, which needs constantly to express itself through something other than language, to richly experience what is, in a straightforward, Morris would say "manly", way. Readers nearly always pick up on this simple, childlike, unreflective quality which is one of the most distinguishing characteristics of the inhabitants of Nowhere. It is not just that Morris presents us with a modified, idealised vision of the Middle Ages, taking us by the hand and leading us into "a sunny world even amidst its violence and passing troubles, like those of a happy child, the worst of them an amusement rather than a grief... a world that scarcely needed hope in its eager life of adventure and love, amidst the sunlit blossoming meadows, and green woods, and white begilded manor-houses"30. This permanent discovery of a quasi-animal sensualism is also an important part of the Victorian-ness of Nowhere: the work ethic retained as essential, following Ruskin, but subverted, turned topsyturvy. It is as though Guest, an ageing Alice, has stumbled or slumbered into Wonderland, "the second childhood of the world". 31 Terry Eagleton, The Illusions of Postmodernism, Oxford, Blackwell, 1996, p. 18. 21In the end, however, one has to ask the awkward question: why does one write, indeed, indulge oneself in a Utopia? True, in the midst of a difficult struggle who could blame us for whistling to keep up our spirits? But Nowhere necessarily performs "the ambivalent function of all Utopia: to provide us with a frail image of a freedom we might otherwise fail to commemorate, but in doing so to confiscate some of the energies which we might have invested in its actual realisation"31. Like any essentially parodic form, a utopia is ultimately half-in, half-out, a mauvaise conscience in the offing. Morris's Utopia is perhaps a "utopiate" in which instinct, custom, the sensual, combine to produce a "quasi-religion", offered by Morris for popular allegiance. News from Nowhere, it seems to me, is difficult to classify as a Utopia which is "a dream of reason", in whose place instinct is reinstated. 22It may be that a comparative approach is needed to move this argument forward further, though here, too, it would be impossible to divide Morris the activist from Morris the artist. I have already pressed Gide briefly into service and alluded to Le Roman de l'énergie nationale, by Maurice Barrès. But there is still considerable scope for scratching away at Morris's misgivings about anarchism. Did Morris fear a nationalist récuperation of anarchism? Proudhon, after all, was an anti-Semite – which Morris was emphatically not - and Proudhon's Frenchness was duly commandeered by none other than Charles Maurras... While the decorative Morris needs to be interred, his worship of art simply cannot be skirted round: "His socialism", May Morris suggests, "had the future of English art for its justification32." Morris, as if by instinct, she also claimed, could recall every detail of a building after only one visit. Remembering an intricate building necessarily reminds us of the idea of building an intricate remembrance. Morris, all agog with Ned, as they tramped round northern France together and gazed at those Gothic masterpieces, was later, of course, to manufacture his own miniature literary cathedral in the sublime Kelmscott Press Chaucer. Marcel Proust's literary cathedral was probably as heavily indebted to Ruskin as Morris's. A comparison of their reactions to the author of Sesame and Lilies, would almost certainly produce an illuminating manuscript, where both authors, and both fins de siècle are concerned. ADELMAN Paul, The Rise of the Labour Party 1880-1945, Third Edition. London, Longman, 1996. ARNOT R. Page, William Morris: the Man and the Myth, London, Laurence and Wishart, 1964. BÉDARIDA François, La Société anglaise du milieu du dix-neuvième siècle à nos jours, Paris, Seuil [Points], 1990. BEHAGG Clive, Labour and Reform: Working-Class Movements 1815-1914, London, Hodder and Stoughton, 1991. BELCHEM John, Class, Party and the Political System in Britain 1867-1914, Oxford, Blackwell, 1990. BEVIR Mark, "William Morris: the modern self, art and politics", History of European Ideas 24. 3 (1998), p. 175-94. BOOS Florence, ed., William Morris's Socialist Diary, London and New York, Journeyman Press, 1982. BOOS Florence and William, "The Utopian Communism of William Morris", History of Political Thought 7. 3 (Winter 1986), p. 489-510. BRIGGS Asa, A Social History of England, Harmondsworth, Penguin, 2nd edition, 1987. BURNS J. H., The Cambridge History of Medieval Political Thought c350-cl450, Cambridge, Cambridge University Press, 1988. CAREY John, The Intellectuals and the Masses: Pride and Prejudice among the Literary Intelligentsia, 1880-1939, New York, St Martin's Press, 1993. CARTER M., "Sidney Ball, Bosanquet and the Legacy of T. H. Green", History of Political Thought, 20. 4 (1999): ip. 674-94. CHARLOT Monica et Roland MARX, dir., Londres, 1851-1901: l'ère victorienne ou le triomphe des inégalités, Paris, Editions Autrement, 1992. COLE G. D. H., William Morris as a Socialist, London, William Morris Society, 1960. GADOIN Isabelle, ed., News from Nowhere: William Morris, Paris, Ellipses, 2004. GLASIER J. Bruce, William Morris and the Early Days of the Socialist Movement [Longmans, 1921], Thoemmes Press, 1994. HULSE J., Revolutionists in London: A Study of Five Unorthodox Socialists, Oxford, Clarendon, 1970. KELVIN Norman, ed., The Collected Letters of William Morris, Princeton University Press. 4 vols, 1984-1994. KINNA Ruth, William Morris. The Art of Socialism, University of Wales Press, 2000. —, "William Morris and Anti-Parliamentarianism", History of Political Thought, 15 (1994), ip. 593-613. Mac CARTHY FIONA, William Morris. A Life for Our Time, London, Faber and Faber, 1994. Mc BRIAR A. M., An Edwardian Mixed Doubles. The Bosanquets versus the Webbs: A Study in British Social Policy 1890-1929, Oxford, Clarendon, 1987. Mc CULLOCH Caroline, "The Problem of Fellowship in Communitarian Theory", Political Studies 32 (1984), p. 437-450. MALLOCK H., Every-man His Own Poet or The Inspired Singer's Recipe Book, Oxford, Shrimpton and Son, 1872. MANN Tom, Memoirs , COATES Ken, ed., London, Macgibbon & Kee, 1967. MASSINGHAM H. J., ed., The Great Victorians [London, Ivor Nicholson and Watson Ltd., 1932], 1938. MEARNS Andrew, The Bitter Cry of Outcast London, London, Macmillan, 1883. MEIER PAUL, La Pensée utopique de William Morris, Paris, Éditions Sociales, 1972. MORRIS May, ed., William Morris: Artist, Writer, Socialist, Oxford, Blackwell, 1936, 2 vol. MORRIS William, News from Nowhere (1890). Édition recommandée: William Morris, News from Nowhere and Other Writings, London, Penguin Classics, ed. Clive Wilmer, 1998. MORROW ]., "Community, Class and Bosanquet's'New State'", History of Political Thought, 21. 3 (2000): p. 485-99. MORTON A. L., The English Utopia, London, Lawrence & Wishart , 1969. POCOCK J. G. Α., The Ancient Constitution and the Feudal Law: A Study of English Historical Thought in the Seventeenth Century, Cambridge, Cambridge University Press, 1957. TANNER Duncan, THANE Pat and TIRATSOO Nick, eds., Labour's First Century, Cambridge, Cambridge University Press, 2000. THOMPSON E. P., William Morris: Romantic to Revolutionary, London, Merlin Press , 1976. THOMPSON Paul, Why William Morris Matters Today: Human Creativity and the Future Environment, London, William Morris Society, 1991. 1 E. P. Thompson, William Morris: Romantic to Revolutionary, London, Merlin Press , 1976, p. 770. 4 Clive Wilmer, ed., News from Nowhere and Other Writings, London, Penguin, 1998, p. 43. Other references to this text are given singly in the form: News from Nowhere followed by the relevant page number. 5 See, for example, Constance Bantman, "William Morris anarchiste? ", Revue française de civilisation britannique, 13. 1 (automne 2004), p. 37-48; or Paul Meier, Pensée utopique de William Morris, Paris, Editions sociales, 1972, p. 282-90, p. 419-74. 6 A tradition propagated with considerable zeal on the other side of the Atlantic by the "New England Renaissance" historians George Bancroft, John Motley and William Prescott. 8 For example, A. M. McBriar, An Edwardian Mixed Doubles. The Bosanquets versus the Webbs: A Study it British Social Policy l890-1929, Oxford, Clarendon, 1987; M. Carter, "Sidney Ball, Bosanquet and the Legacy of T. H. Green", History of Political Thought, 20. 4 (1999): ip. 674-94; J. Morrow, "Community, Class and Bosanquet's'New State'", History of Political Thought, 21. 3 (2000): ip. 485-99. 9 "Labour's Political and Social thought". In Duncan Tanner, Pat Thane and Nick Tiratsoo, eds., Labour's First Century, Cambridge University P., 2000, p. 8-45 (p. 16). 12 In addition, Morris also published two important essays around this time: "Art and Industry in the fourteenth Century" (January 1889) and "Gothic Architecture" (November 1889). The historian James Bryce and Morris exchanged correspondence on numerous occasions: for example, concerning the (declined) offer of the poet laureateship in 1892. Writing to Gladstone, Bryce recalls his "old friend', the " earnest and hearty fellow-worker " (Kelvin, 3,460 [letter dated 27th October 1892]) from the days of the Eastern Question Association, of which Bryce had been a member. As for Freeman, he and Morris would have come into contact through their activities with the Society for the Protection of Anciert Buildings. 13 See Julia Crick, "Pristina libertas: Liberty and the Anglo-Saxons Revisited', Royal Historical Society Transactions (2004), 14: ip. 47-71. 14 "Feudal England", published in Signs of Change (1888): consulted atwww.marxists.org/archive/morris/works/1888/signs. 16 See J. H. Burns, The Cambridge History of Medieval Political Thought c350-cl450, Cambridge University Press, 1988, p. 147-52. 19 See Theodore K. Hoppen, New Oxford History of Britain. Vol. 3. The Mid-Victorian Generation 1846-1886, Oxford, Clarendon, 1998. 20 For example, John Beddoe's The Races of Britain: A Contribution to the Anthropology of Western Europe-first published in 1862-applied evolutionist methods to a mass of evidence in the form of skull measurements, data on eye and hair colour, as well as analyses of surnames and place names. On this basis, and applying his "numerical and inductive method" Beddoe developed the "index of nigrescence", asserting that "with a few notable exceptions conquering and ruling races have always been fair, while the vanquished and submissive races have been dark"(p. 224). He concludes in respect of Britain that "the Gaelic and Iberian races of the west, mostly dark-haired, are tending to swamp the blond Teutons of England" (p. 270). 22 News from Nowhere, p. 65, 203. For an interesting argument on this subject, but which runs counter to my own, see Nathalie Saudo, "'Fine specimens of the race': Pourquoi se porte-t-on si bien dans Nouvelles de Nulle Part? ", Revue française de civilisation britannique, 13. 1 (automne 2004), p. 67-82. 23 "The Moral Aspects of Socialism", Fabian Tract 72 (November 1896). Quoted by Thomas C. Leonard, "'More Merciful and Not Less Effective': Eugenics and American Economics in the Progressive Era", History of Political Economy, 35. 4 (Winter 2003): p. 687-712 (703). 24 The young William Beveridge, in Unemployment: A Problem of Industry (1909), isolated "certain degenerate human types" who were"as definitely diseased as are the inmates of hospitals, asylums and infirmaries, and should be classed with them" (p. 134-7). 26 Morris's Utopia is above all productivist in its ethic, whereas late-Victorian society had already started a move towards mass consumerism. Nowhere, that is, had to contend with the rapidly growing impact of the popular press, the music-hall, the fish and chip shop, the football ground, railway trips, holidays... From 1883 onwards, the Primrose League launched a formidable campaign to win hearts and minds among working people. By 1890 the Primrose League already had a million members. It wore its educational role lightly, but regaled its members with regular parties, teas and fêtes. Morris himself was the first to admit that educating working men around to his way of seeing things was a tough task: his Socialist Diary (1887) is a sometimes poignant, even pathetic, record of his growing conviction that he was in fact attempting to instigate an impossible revolution of feeling. 27 J. G. A. Pocock, The Ancient Constitution and the Feudal Law: A Study of English Historical Thought in the Seventeenth Century, Cambridge University Press, 1957, p. 230. 32 May Morris, ed., The collected Works of William Morris. vol. 16. London: Longmans Green and Co., 1912. Introduction (p. xii). HARRIS, Trevor. The other William Morris: making an English Utopia? 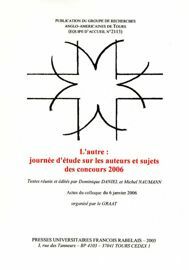 In : L'Autre : journée d'étude sur les auteurs et sujets des concours 2006 [en ligne]. Tours : Presses universitaires François-Rabelais, 2006 (généré le 19 avril 2019). Disponible sur Internet : <http://books.openedition.org/pufr/5745>. ISBN : 9782869064867. DOI : 10.4000/books.pufr.5745. Harris, Trevor. “The other William Morris: making an English Utopia?”. Naumann, Michel, et Dominique Daniel. L'Autre : journée d'étude sur les auteurs et sujets des concours 2006. Tours : Presses universitaires François-Rabelais, 2006. (pp. 61-77) Web. <http://books.openedition.org/pufr/5745>. NAUMANN, Michel (dir.) ; DANIEL, Dominique (dir.). L'Autre : journée d'étude sur les auteurs et sujets des concours 2006. Nouvelle édition [en ligne]. Tours : Presses universitaires François-Rabelais, 2006 (généré le 19 avril 2019). Disponible sur Internet : <http://books.openedition.org/pufr/5735>. ISBN : 9782869064867. DOI : 10.4000/books.pufr.5735.